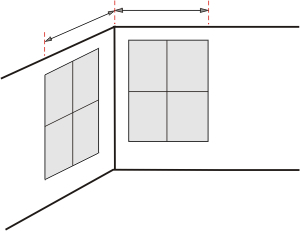 Measure your window opening (Diagram 1) or if there is a frame around your window refer to Diagram 2. If more or less required please specify. Return sizes (protrusion from the wall) are 50, 75, 100, 150, 200 and 240 mm. Drop sizes are 240 and 290 mm. 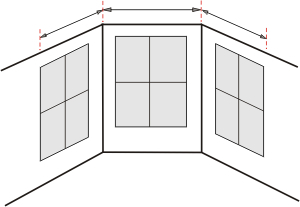 Two types of corners are shown.